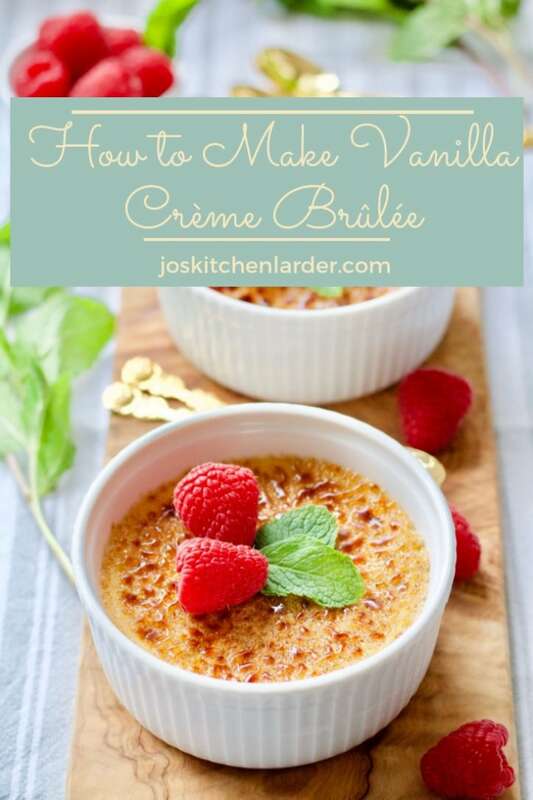 Vanilla Crème Brûlée – rich and creamy vanilla custard topped with gorgeous layer of hard caramel… This make-ahead dessert is easier to make than you would expect and is sure to impress even the toughest critics. 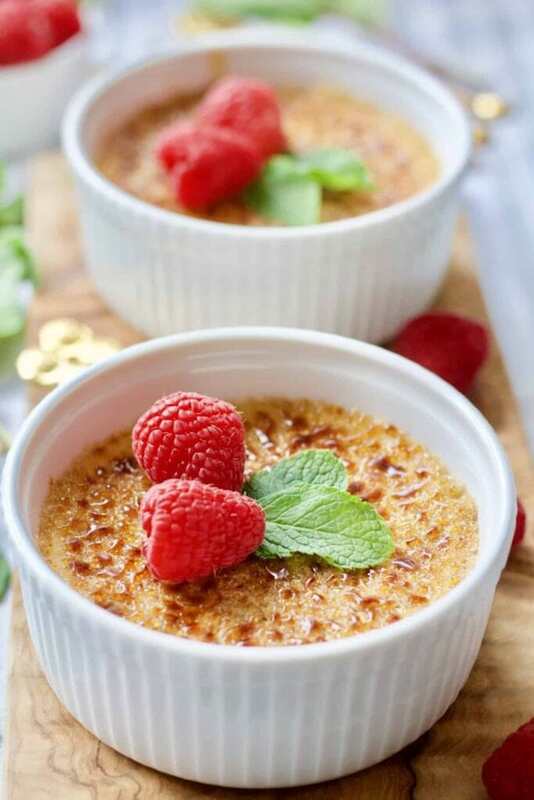 You know by now that the list of my favourite desserts is quite vast so it will come as no surprise that this Vanilla Crème Brûlée features on it as well. It is one of the desserts I tend to order when eating out as for me it really is the one for special occasions. Having said that and even though it looks all fancy and impressive it really is super easy to make in the comfort of your own home. 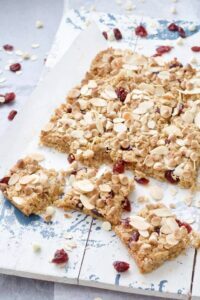 5 ingredients is all it takes to make this fantastic make-ahead dessert, ok 4 if you go with just one type of sugar! And you don’t even need a blow torch (although I must say it is fun to use)! 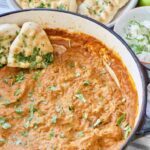 Double/Heavy Cream – I’m afraid there are no substitutes here. Proper, full-fat cream produces the best results and there is no escaping the fact that your diet will have to wait. Although it is a special occasion dessert after all! 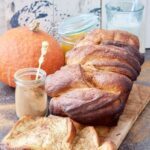 Caster Sugar (superfine granulated sugar) – It’s perfect for using here as its fine consistency makes it dissolve quicker although you could use regular granulated sugar if need be. 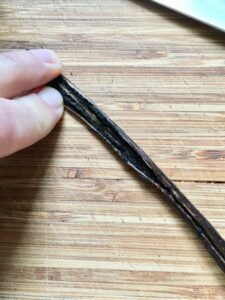 Vanilla Pod vs Vanilla Extract – I like using vanilla pod here as I think infusing the cream with seeds and the pod itself makes this dessert that bit more special than simply adding vanilla extract. You will also be able to see little vanilla seed specs as you tuck into your dessert. If you are not too fussed about it, 1-1.5 tsp vanilla extract will work too. 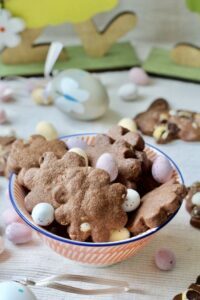 Simply whisk it in together with egg yolks and sugar. 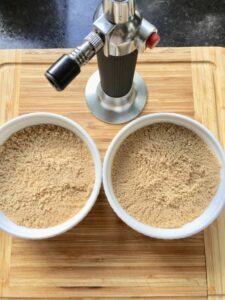 Soft Brown Sugar – I like using it on top of the custard as a final finish as it seems to caramelise quicker but if you don’t have any to hand use superfine (caster) sugar. 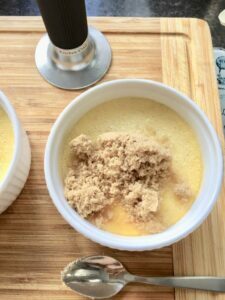 Eggs – You will need egg yolks alone for your Vanilla Crème Brûlée and this brings me to a very important question. What do I do with leftover egg whites? Can I freeze them? 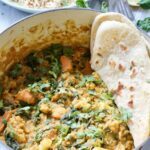 If like me you don’t like food waste, you don’t need to worry. Egg whites freeze beautifully. In fact, I’ve used defrosted egg whites many times in bakes like pavlovas and if I didn’t know that they’ve been previously frozen I would be none the wiser. The most efficient and clever way of freezing the egg whites is to use an ice cube tray. This way you know exactly how many egg whites you’ve got and you can defrost them as and when and according with your needs. Simply pour the egg whites into the tray and place it in the freezer. Once frozen you can simply transfer the “egg white cubes” to the plastic bag labeled with the date of freezing. Simples! Egg whites will keep in the freezer for up to 12 months and should be defrosted in the fridge overnight and brought to the room temperature before whisking. 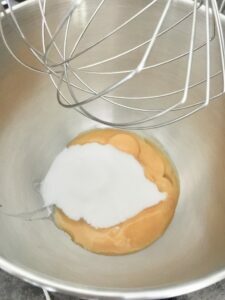 Whisk, hand mixer or standing mixer with whisk attachment to whisk egg yolks and sugar (and vanilla extract if you decide not to use vanilla pod for infusing the cream). 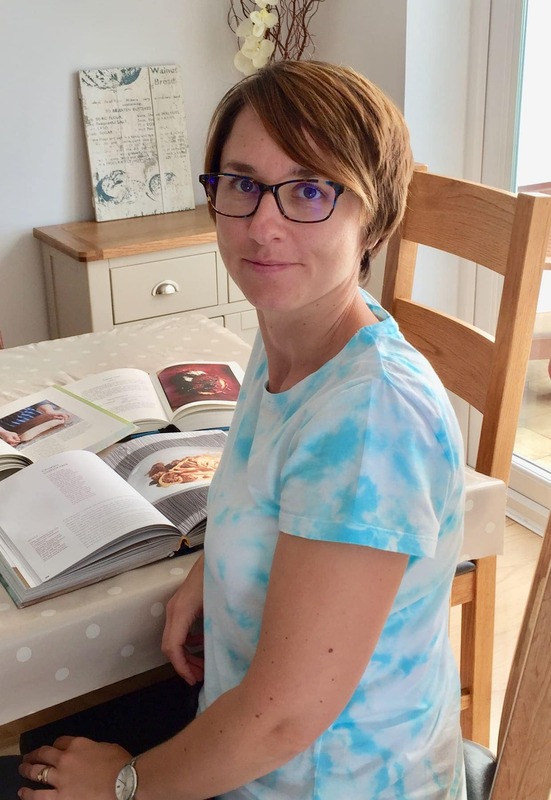 Cook’s Blow Torch – I was gifted this Kitchen Craft blow torch quite a few years ago now and it’s proven quite handy in the kitchen. It is really simple to use too. Grill/ Broiler – Lack of the torch shouldn’t put you off as you can simply caramelise sugar until hard under the hot grill/broiler. Make sure you watch it like a hawk though as there is a fine line between caramelised and burnt! Baking/Roasting Tray – You will need one big enough to fit all your ramekins. I use my old and trusted Le Creuset Roaster with very handy handles. 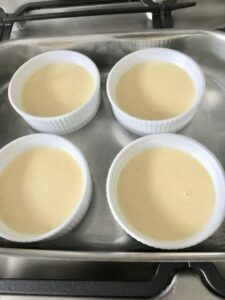 Make sure your tray is not too shallow as you will be baking your Vanilla Crème Brûlée using “bain-marie” (water bath method) where you pour freshly boiled water into the tray approximately half way up the ramekins. This method is perfect for cooking things gently and evenly. Make sure you don’t boil your cream! Quickly take it off the heat just before it gets to that point! 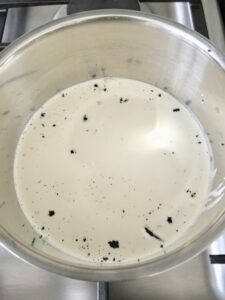 When using vanilla extract instead of the pod, you still need to heat up the cream almost to the boiling point although no straining will be necessary. When pouring hot cream into your egg yolks make sure to go very slow but at the same time whisk the mixture constantly and really vigorously to prevent the eggs from scrambling! And remember, even if you overcook your creme brûlées first time around, it’s not the end of the world. They will still be creamy and delicious if slightly more set. Practice makes perfect! 1. 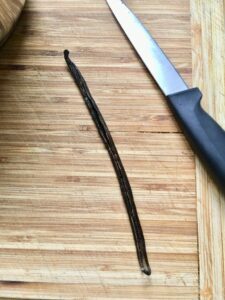 Lay the vanilla pod down on the cutting board and cut it open with a sharp knife. 2. Open it gently to reveal all the lovely seeds. 3. Using the tip of the knife scrape the seeds out of the pod (its entire length). 4. Put the seeds and the pod itself in the medium saucepan. 6. Bring the cream almost to the boiling point and quickly take it off the heat. Set it aside while you prepare your egg yolks. 7. 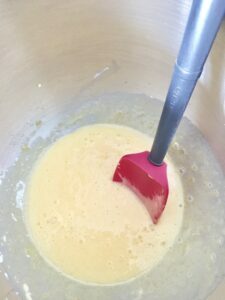 Separate the eggs and whites and put egg yolks into a large bowl or bowl of your standing mixer. Freeze the egg whites for another time. 9. …and whisk together until pale and foamy. 10. 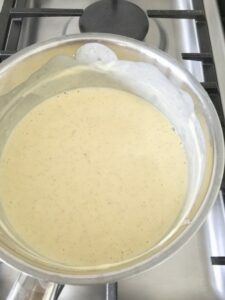 Slowly start adding the hot cream whilst constantly whisking the mixture to prevent egg yolks from scrambling. 11. 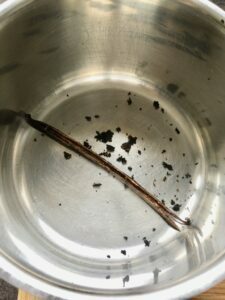 Strain the mixture through fine sieve to get rid of vanilla pod and some woody bits that might have separated from it. 12. Pour in the custard mixture into the ramekins sitting in the roasting tray. Pour in the hot water half way up the sides of ramekins and bake in 150C/300F/Gas Mark 2 for up to 30 minutes until just set and still wobbly in the middle. 13. Chill in the fridge for minimum of 4 hours or overnight. When ready to serve sprinkle some sugar over the top of the creme brûlées and even it out with the back of the spoon. 14. Make sure you get nice and thin layer. 15. Using the torch caramelise the top until bubbly and brown. You can also pop it under the grill/ broiler to achieve the same effect. Let your creme brûlées sit for few minutes for the caramel to harden and serve. Vanilla Crème Brûlée - rich and creamy vanilla custard topped with gorgeous layer of hard caramel... 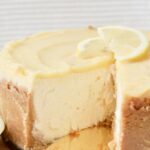 This make-ahead dessert is easier to make than you would expect and is sure to impress even the toughest critics. 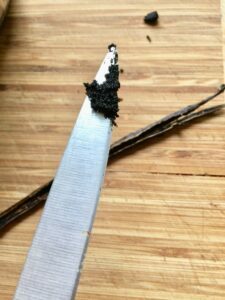 Cut the vanilla pod open and scrape out the seeds with the knife. 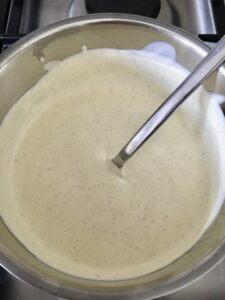 Pop them in a medium saucepan together with the pod itself and add cream. Bring the cream almost to the boiling point and quickly take it off the heat. Let the cream infuse with vanilla whilst you prepare the egg yolks. 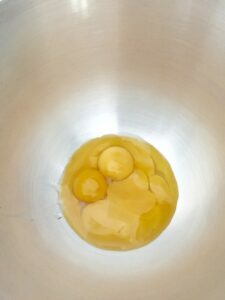 Separate egg yolks from the whites (freeze the whites for another time). 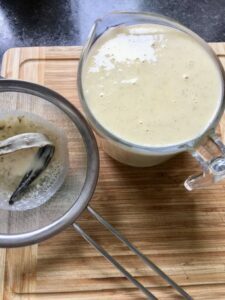 Whisk yolks with caster sugar until pale in colour and foamy and very slowly start adding the hot cream whilst whisking constantly and vigorously (to prevent the yolks from scrambling). Strain the mixture through a fine sieve and distribute evenly between the ramekins. Put the ramekins onto the baking dish and fill with hot water to come up half way up their sides. Bake in 150°C/300F/Gas Mark 2 for approx 30 min until the little custards are just set. Keep watching them as you want for the edges to be set with some visible wobble in the middle of your brûlées. Carefully lift the ramekins out of the baking dish and chill really well - minimum 4 hours in the fridge but preferably overnight. Once baked they can stay in the fridge for up to 2 days. 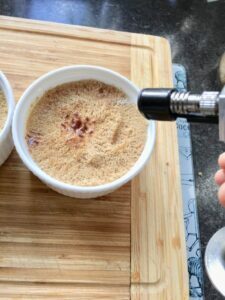 Once chilled sprinkle thin layer of either caster or soft brown sugar and caramelise with blow torch or under the grill until bubbly and brown. Wait a few minutes for sugar layer to harden before serving with some fresh berries if you wish. If you are using vanilla extract instead of pod simply add the extract to egg yolks and sugar and whisk together. You will still bring the cream almost to the boiling point and take it quickly off the heat but without the pod, seeds and the need for straining. 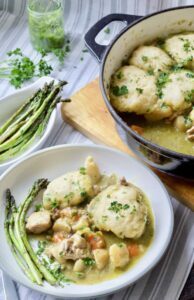 Update Notes: This post was originally published on 9 March 2017, but was republished with new recipe card, updated photos, step-by-step process photos, tips and other useful info in February 2019. There is nothing better than creme brulee. Your photos just make this dessert look amazing. 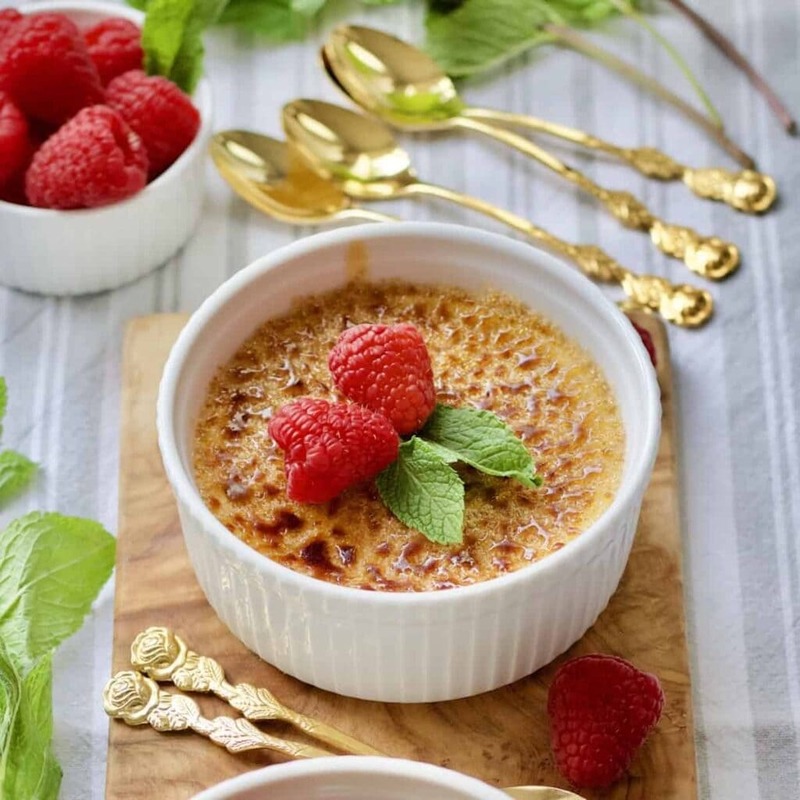 Stunning photos Jo – the top of your creme brulee looks absolutely perfect! Creme brûlée is one of the desserts I’m most likely to choose when eating out too. Yours looks absolutely gorgeous and your photos are lush. Love your egg white tips. I must try freezing them. Normally, I scurry around looking for a recipe I can use them up in. Pinned. Thank you Choclette! 🙂 Definitely try freezing egg whites in the future you won’t be able to tell the difference once you’ve defrosted them. I’ve never made creme brulee before but it’s one of my favourite desserts so I should really give it a go at some point. I like the fresh raspberry garnish – very elegant. Thank you Kacie! 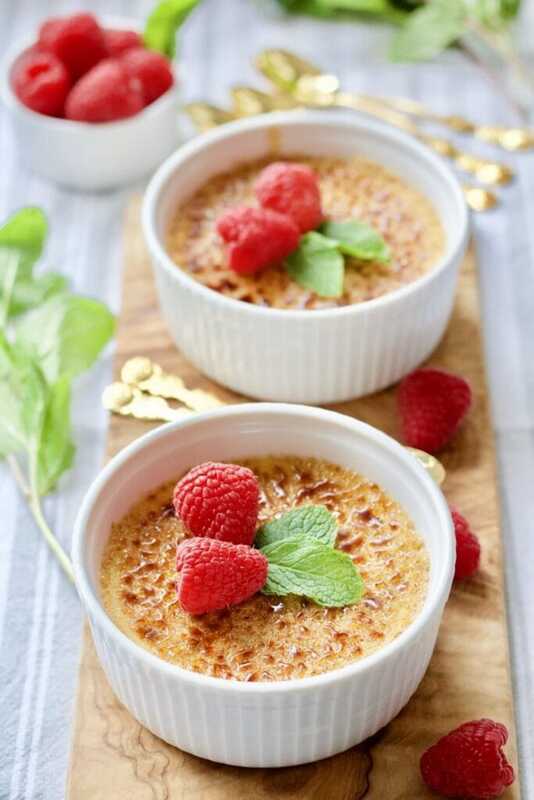 🙂 They do add a bit of colour plus the sharpness of fresh raspberries goes really well with creamy sweetness of brulee itself. This looks so amazing. I know a lot of people that would be very happy if I made this for them! Thank you Cat! 🙂 It’s always a huge hit! These look great Jo and I agree that using a blow torch is fun to caramelise the sugar. 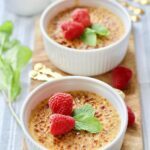 Creme Brulees are one of my husband’s favourite desserts so they’re one of the thing I often make for Valentine’s Day! Thanks for sharing with #CookOnceEatTwice! Thanks Corina! 🙂 They are perfect for special occasions Valentine’s Day being one of them for sure!